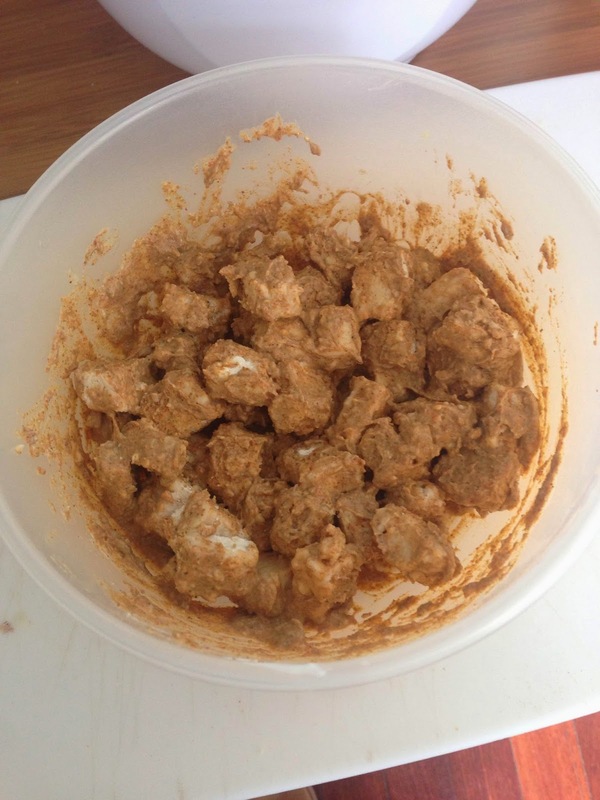 Last weekend I tried a recipe from a UK book which a few of my friends have been raving about, the book is the Hairy Dieters Eat for Life which I had to buy the kindle version of (rather than paying extortionate postage costs to get it shipped to Australia!). One of the reasons I was interested in this particular book was that I knew it contained a section entitled 'Fakeaways' which revolves around creating low calorie versions of favourite takeaway dishes. I was curious how I might be able to adapt any of these using quorn to further enhance the 'good for you' element. So, last weekend, while I had time on my hands, I decided to try the low fat 'tikka masala' curry. I actually made two versions simultaneously, a chicken version (true to the recipe) and a version made with quorn pieces which worked astoundingly well! For this recipe there is a little extra effort required because you make the sauce separately and need to use a hand blender for that part too ahead of the actual cooking - but it is well worth it, the flavours and textures are the closest to a proper Indian restaurant (British Indian) I have ever been able to create at home. Heat the oil in a large pan and cook the onions until softened then add the garlic and ginger and cook for another few minutes until it is all translucent and fragrant. 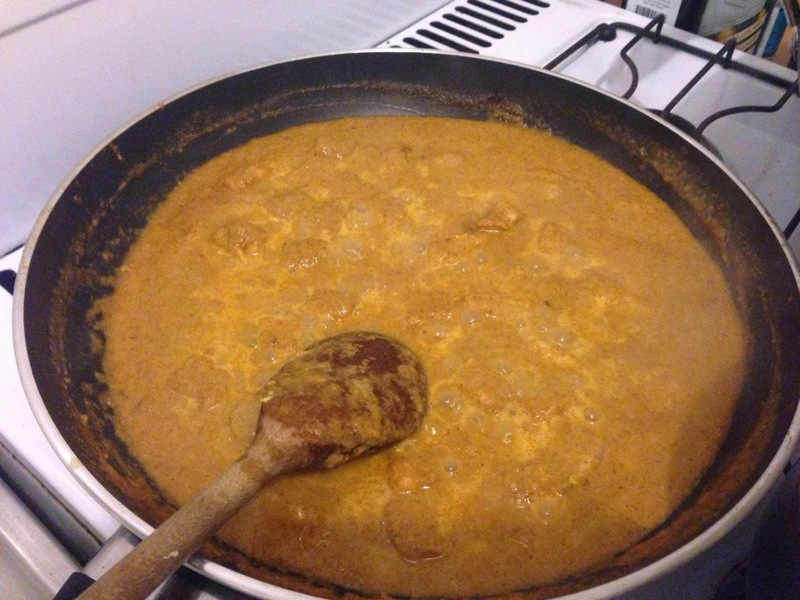 Add the curry powder and cook for another 2 mins, stirring continuously. Add tomato puree, caster sugar and salt and stir for another minute. Pour the water into the pan and let it simmer for 5 minutes - do not worry that it looks very watery at this stage (I was convinced it was not going to work at this stage because the consistency was all wrong - but it comes together later, I promise). After 5 mins of simmering, take it off the heat and blitz it with a hand blender (or tip it into a food processor) and blend until it is smooth. Leave this to one side. I then used the same pan (less washing up) to heat a small amount of oil and saute the marinaded quorn/chicken pieces. Let them brown up and caramelise a little so you get some colour and stickiness in the pan. Now, pour the masala sauce back into the pan and and bring it back up to a simmer. 8. Finally, add the cream and the coriander and there you go - fab tikka masala. I tried to get a picture before my husband dug in but the smell was driving him crazy! Amazingly, based on 4 portions, this works out at only 302 calories per serving which means you can have a measured portion of rice with it and still come in around the 500 calories mark. Pretty incredible when you taste it and realise how indulgent it seems! This was a real winner in our house, I tried both versions (the chicken was awesome too) and can testify that the flavours really are amazing. 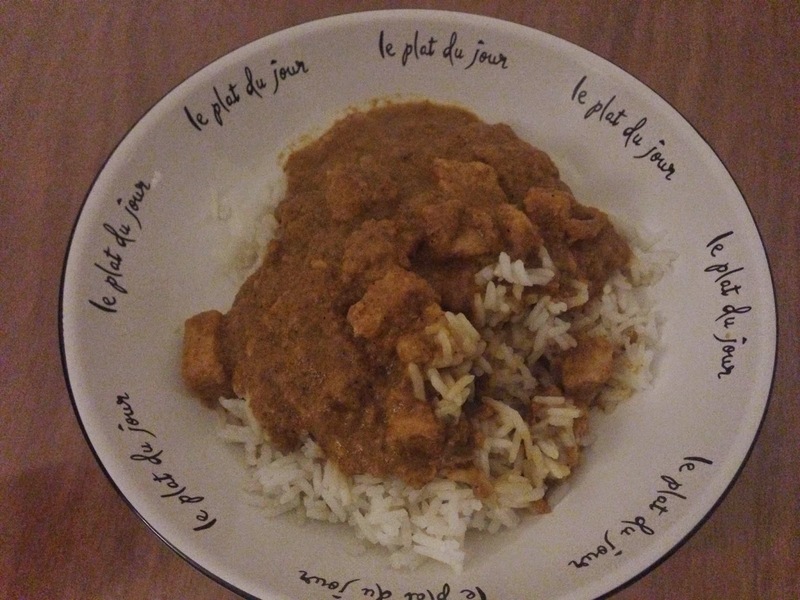 The quorn seems to soak in the intensity of the spices quite well and it is definitely a recipe I will be making again. If you could get hold of the quorn beef or lamb pieces (I cannot in Australia unfortunately) then I reckon this recipe would be equally impressive with those too. This recipe is best followed on a weekend due to the various stages and need for time - but it is well worth the effort.